Titles are offered to reviewers and sent if requested. Some will read and publish, others are never to be seen. But I am grateful to those who do. The confidence they show in my work and the feedback from readers is the encouragement for me to continue. 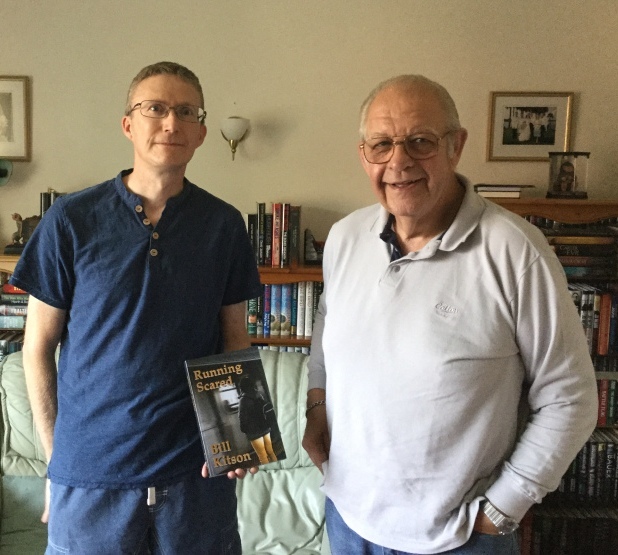 I met Andy, a crime aficionado and avid collector of first editions, at my very first book signing. It was pouring with rain on a cold and miserable day, but he wanted a copy. I have bumped into him at events and was delighted when he began to put his expertise to use as a reviewer, even more so when he agreed to look at mine. I wish him well with his venture. Now we are home, it’s back to work, not that I didn’t work in the sunshine, my alter-ego, William Gordon, always does. I have three titles in three series all in progress and should soon have news to impart — so watch this space.